First of all, can you give us an introduction to yourself? We understand you’re a former spokesman for the Berlin Senate? Can you tell us a little about Triad and the work you do? I founded Triad in 1994 with the vision to change the world of exhibitions. Ralf Applebaum in New York was a kind of role model. Storytelling in space with old and new media, more experience and emotion than education and knowledge – that was, and is, still the purpose of our everyday work. I understand climate change is of key importance to you – can you tell us why and what inspired this? That became one of our most important issues, when we started to prepare our exhibition for the 2010 World Expo in Shanghai. We realised the urgency and the dimensions of destruction in China and thought, ‘we have to do something about it’. Our ‘Urban Planet Pavilion’ in Shanghai told a very serious story about urbanisation and the planet. With more than 8 million visitors, this message was seen by a lot of people. What are some of the biggest climate change issues affecting Berlin? Berlin is a lucky city, so much green space, lakes, rivers and canals. You rarely realise, that there is something going wrong. Germany is still affected by the coal industry. It’s crazy that politicians are protecting coal and destroying the renewable energy industry. We have been at the forefront of a movement for 10 years now, but we are close to giving up on that just for the interests of unions. I am really angry about what is going on at the moment. Formula E competed in Berlin last weekend for the fourth consecutive year – would you say the series is growing in popularity? In your opinion, what impact can Formula E have on Berliners in raising awareness of electric vehicles? In the end it is all about attention and awareness. That’s why the race is so important. In my opinion it is not the race itself, but the event, all the related discussions, meetings etc. Tempelhof is the perfect place, a symbol in itself, for freedom, independence, for mobility and urbanisation. It’s great to have Formula E racing in Berlin. The city deserves it. 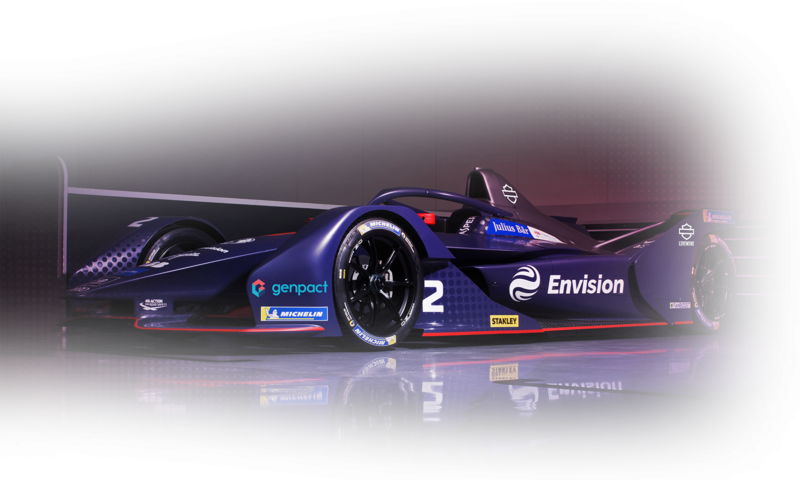 The Virgin Racing team is one of the leading teams in Formula E in terms of sustainability and has its own Race Against Climate Change programme. In your view, how important is this work in order to help raise awareness? It’s all about changing perceptions. Creating a surrounding, where people realise that life can be better, more attractive, more emotional, but only if you treat our planet as a gift. E-Mobility is just one aspect but an important one to convince people; fighting against climate change, for the better. That’s simple but convincing. In your opinion – what is the single most important action people need to take in order to slow down global warming. If you realise that you are just a very little part of a unique ecosystem, called planet earth. Treat it with respect.